Internet Marketing Tips - Hale Pringle | Info or Physical Products - In The End The Fortune IS in the LIST! 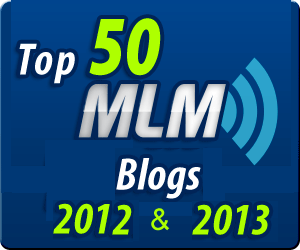 From time to time I run into a tip that is useful to Internet Marketers. I post them here, on Google Plus and on my Facebook Fan Page. 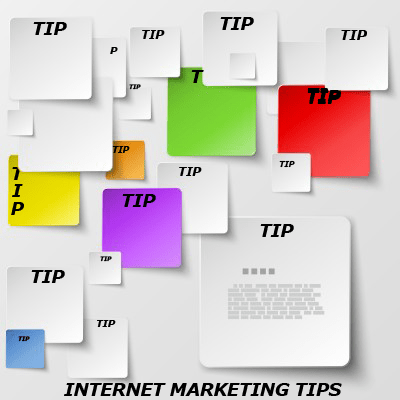 Enjoy these miscellaneous Internet Marketing Tips! 🙂 Oh Hale Yes! nternet Marketing Tip of the Day: You write and just know that thousands of people will eventually read what you write. The temptation (almost overwhelming for many of us) is to write to those masses. So you write “People can use this…” or “Dog owners can use this…” or sometimes “We can use this…” I suggest that you need to learn to stop writing that way. In most cases you need to have an Avatar (the perfect client) in mind and write to them as if they are across the table. If you are talking to your best friend you wouldn’t say “People shouldn’t do that…”, no you would say “You shouldn’t do that…” When your readers see “You….” they feel that you are talking to them personally. . When they see “People…” or “Dog owners…” then they can easily say “Yeah that is true, but not the writer doesn’t mean me…” So when you write to your Avatar “enter the conversation that is going on in his or her head”, “use his or her vocabulary” and write to one person with personal pronouns. Internet Marketing Tip of the Day One of the things Ann Sieg, Jason Fladlein and many other teach took me FOREVER to get through my head. I’m passing to on so that it begins to nibble and nag at you. You need to learn the basics through study. After that you continue to study (some), but you learn more from DOING than you do watching a webinar or reading an eBook. This is especially true today when so much of the “training” you see on the Internet is actually aimed at selling not training. When you start to TEACH it, then you really know it – whatever IT is. The point – Doing is Learning, get into ACTION MODE! Internet Marketing Tip of the Day: Quick tip on Google Keywords Tool. Be sure to log in (upper right) once to get there. You get 800 plus suggestions when you are logged in versus 200 if you are not. Use your Gmail or G+ login. There are some tabs in the middle of the page “Keywords Ideas” shows you the whole list (change the number displayed over on the right). “Ad Group Ideas (Beta)” groups them. I like to download them – Ad Group Ideas actually gives you more – download straight into Excel. If you are Googling to see how your posts are ranking for your keywords, be sure to turn OFF Google’s personalized search feature. By default Google will show YOU things that you are related to. Other people won’t see those results. (In Firefox, click on the gear in the upper right corner and find the personalized search option.) Example: with personalization off I do not rank for “AWeber Tips”. With personalization on, I dominate the first page. Obviously the first result is a better indication of how often I would be found by surfers searching for that keyword. You can click on a tab on your Facebook post and copy the URL address in your browser. Now you can send people straight to the tab in your ads or in links you put anywhere on the web. Ah but what if you have a great post you want to share? Click on the time stamp in the post (e.g. Two hours ago or Just Now). That will give you a URL in the address bar of your browser. Use that URL to send people straight to the post. I’ve talked about writing your ethical bribe as a series of blog posts and then cut and paste into a document. Another way to re-purpose your blog posts is to write a series of related posts and then add an email to your follow-up emails in aWeber for each post. Give a nugget (useful value even if the reader doesn’t follow your link) and then give a link to your first post. On day 2 do the same thing with the second post in the series. This way those posts that you worked hard on are still having an impact weeks and months later when people opt-in to you list. Oh Hale Yes! A lot of people use this with Twitter to avoid chewing up their 140 characters with just a web link. Bit.ly is also nice in that you can go to your account and see statistics on how many click were made on the shortened link. What most people don’t know is that you can take a bit.ly link and add a plus sign to the end (“+”) and instead of being sent to the original long URL, you will see the statistics on the bit.ly link. How many people have clicked on it? How many today or yesterday? What countries did the visitors come from? Here is the kicker – bilt.ly will show you the stats, even if you don’t own the link. You can see how your competitor is doing (and they can check on you). 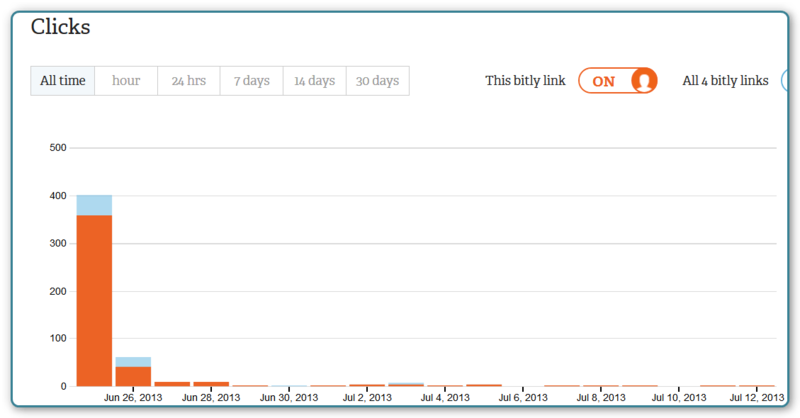 Bit.ly Link with Plus Sign – How Many Clicks? Bit.ly Link with Plus Sign – What Countries? Worth knowing. Wouldn’t you say?